Gaia Portal Status Seekers Are Rebuked. By Interstellar. 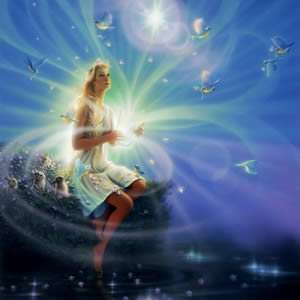 Below the Gaia Portal message of April 14 2019 with our free interpretation in rough English. Recently are circulating on the web some quite intimidating informations, warnings and ultimatums scattered here and there and dictated with a certainty of truths that leave one perplex. Perhaps Gaia Portal refers to this type of situation? Flamboyant could mean also ostentatious, pompous, showy, especially if they are then crushed on their trestle, pulled down from the pear tree where they climbed. It seems to understand that this is the same concept as the previous sentence, referred to the Status Seekers. By now we have taken this direction of interpretation and we will continue on this; if we are dealing with information that forces reflection, a more in-depth analysis of one’s ideas and behaviors, these may require the help of the Inner Guidance. The best time to get it is certainly the night, which does not necessarily mean during sleep, but also and especially the moments that precede it. So, if you are dealing with Status Seekers the advice is to follow the directions of the Inner Guide. Not much to say about this sentence, it is self-explanatory, even if the masses still do not have a clear perception of it. The Status Seekers will tell you that they are the saviors and they are winning on the dark and just listen to their voice only, but is this the way to overcome darkness or to further wedge in it? Here I have to ask you a question, who decides which are the Grand Designs and who gives us information on the situation? Are we forced to find information from “someone”? I will be the first to answer: we will decide the Grand Designs ourselves when we can become ONE and co-create, enough of the gurus; the information on the situation must come from ourselves, from the awareness of the increase in our own vibrational frequency, that is the thermometer of the situation, so once again enough gurus or Status Seekers. This entry was posted in Uncategorized and tagged Disclosure News Italia, Gaia Portal, love. Bookmark the permalink.